China landed a probe on the far side of the moon on Thursday with remarkably little fanfare, yet the feat is one giant leap for a nation that’s long been regarded as an also-ran in the space race. With Elon Musk tweeting pictures of starships and NASA targeting a manned mission to Mars one day in the distant future, the moon might seem a less exciting destination. But space experts quickly applauded China’s technical mastery in the probe landing, and said that while short-term opportunities to mine the moon for minerals might be minimal, long-term implications for space exploration are real. 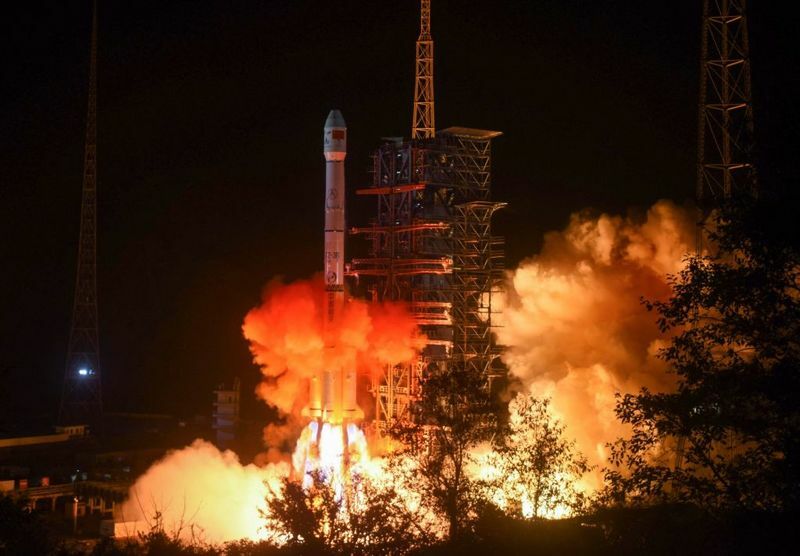 Last year, for the first time, China passed the U.S. in orbital launches, most of them for satellites. With the moon landing, it’s now positioned as a contender for exploration, communications and space commerce. The stated goal for the Chang’e-4 sitting on the dark side: Collect samples and identify what minerals are there. Space observers said humanity was more likely to find gold, silver, iridium and platinum on asteroids. That doesn’t rule out a moon-mining endeavor in the far future that could serve as a lunar gas station to the stars. As for those who’d mine asteroids, the moon may be the better option if materials are discovered under the surface. Alex Ellery, of Carleton University, says the moon’s treasures are easier to retrieve because it has gravity and is close to Earth. The next step is bringing mankind back to the moon. There’s debate in the U.S. over whether to do a direct landing as soon as possible, or build a lunar base that takes longer. NASA’s top administrator has committed to the latter option. Todd said he expects there will be a genuine market for space tourism, and that the moon may win out. China may be testing its ability for more sophisticated missions, according to Neal of Notre Dame. That poses the question of why China chose its particular landing place, at one of the moon’s oldest and deepest craters. The answer could be simple, he said. From the far side of the moon, Chinese scientists can see farther into space because Earth’s radio waves can’t get in the way.